Mmm, do I love bacon. 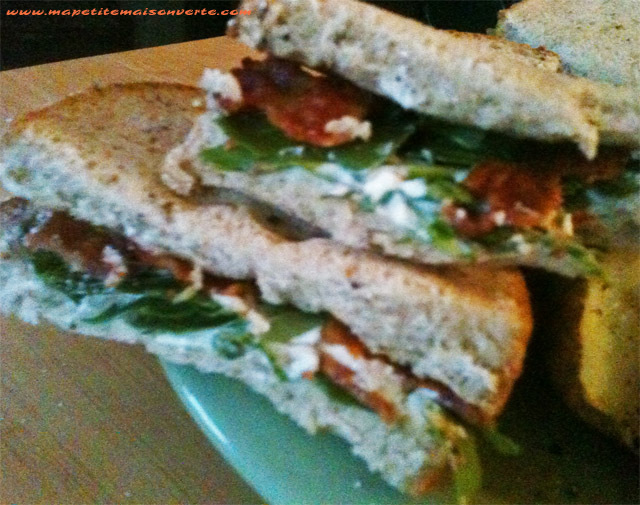 Since I had a few slices to use up this evening, I decided to make my own version of a bacon sandwich. I didn’t have any tomatoes on hand, but I did have fresh arugula or rocket, as they call it around here, so I used that in place of iceberg lettuce. For the bread, we used a wonderful soft rye bread that we discovered this past weekend. As a finishing touch, a small slather of mayonnaise on one slice, and dinner is served! I just love the peppery taste of arugula greens. If you are a fan too, you might like this salad I made earlier this year! Ironically, it also features bacon!